By 1965, Carroll Shelby had already established himself and his name as the de facto American performance brand, with cars like the 289 and 427 Cobra regularly trouncing the competition on tracks and at stoplights around the world. So he turned his attention to the Ford Mustang. Ford wanted to make its already-popular pony car into a fire-breather, and Shelby did just that. He started with white 2+2 fastbacks fitted with the High Performance 289 V8 rated at 271 horsepower, then massaged them with an aluminum high-rise intake manifold, Holley four-barrel carburetor, Tri-Y headers, and a glasspack dual exhaust system to produce 306 horsepower and 329 ft-lb of torque. A Borg Warner four-speed put that power to the rear wheels, and the 2,800-pound car could sprint to 60 mph in about 6.5 seconds, with a top end of 126 mph. Rear seats were replaced with a fiberglass shelf, and all GT350s were fitted with fiberglass hoods and blue rocker panel stripes. Thick racing stripes down the center of the body were optional, as were Cragar mag wheels. Braking was courtesy of Kelsey-Hayes discs in the front and drums in the rear, and the car was suspended by unequal arms, coil springs, and an anti-sway bar up front, with a live rear axle, multi-leaf springs and tube shocks in back. An "R" variant—the rarest and most potent GT350—produced 350 horsepower, weighed 75 fewer pounds, and featured an enlarged fuel tank (34 gallon vs. 18) for racing. With special heads, a super-duty suspension, racing tires and more, it was offered in 1965 only. 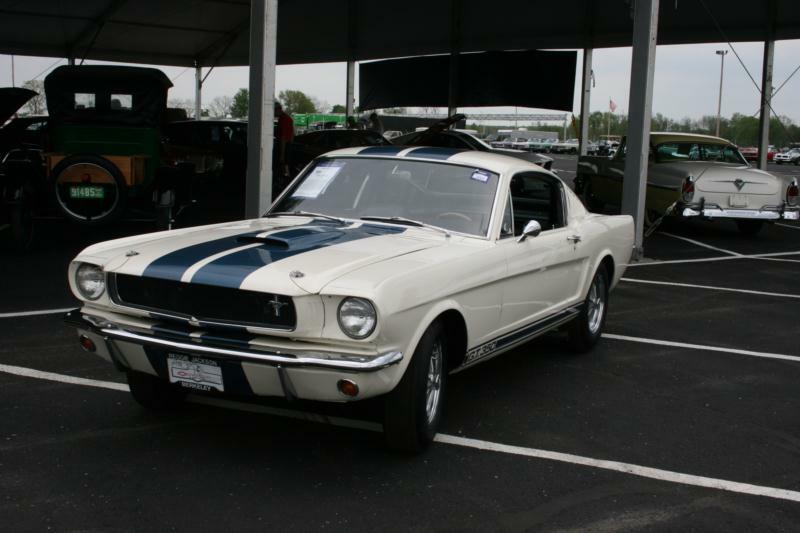 For 1966, GT350s came in a broader exterior palette, with blue, red, green and black cars offered. Subtle body changes included functional side brake scoops and a special rear quarter panel window, while a SelectShift three-speed automatic transmission was made available. Tops on the options list was a Paxton supercharger, which gave the GT350 stratospheric power. Just a handful of cars were so equipped. Special production for 1966 included about a thousand GT350H rental cars for the Hertz Corporation. Most were black with gold stripes. In 1967, Mustangs and thus GT350s bulked up both in size and weight, as well as concessions to interior comfort. Notable changes included twin high-beam headlights mounted centrally in the grille, a larger hood scoop and side brake scoops, rear-quarter scoops to increase interior ventilation, and a rear deck spoiler. 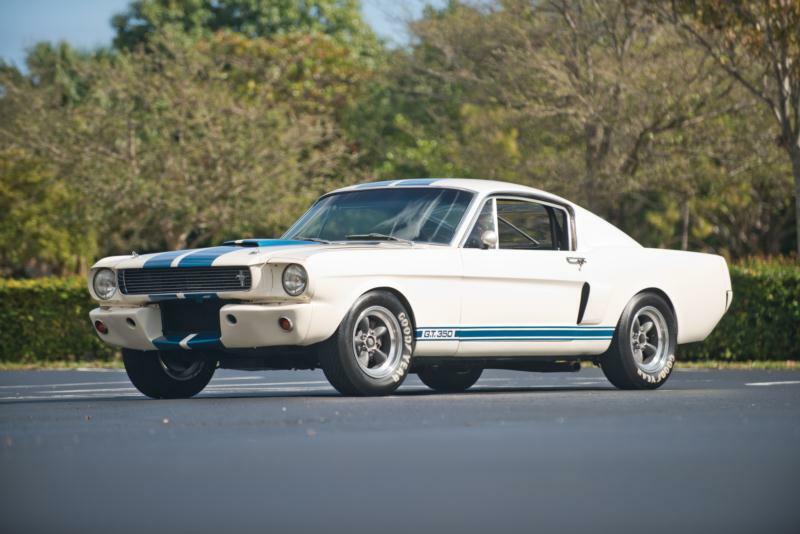 By 1968, Carroll Shelby had lost much of the autonomy he'd enjoyed in creating the GT350, as Ford had gotten more involved in the decision-making process. For starters, production shifted from Shelby American in California to Michigan, where the cars would be built alongside standard production Mustangs. Ford also took over all marketing and advertising. Twin air scoops graced the leading edge of the hood, but the biggest news was the introduction of a convertible GT350 model, which featured a built-in roll bar. All GT350s now utilized Ford's 302-ci V8, but it was a much-dumbed down version and power was reduced to about 250 hp. 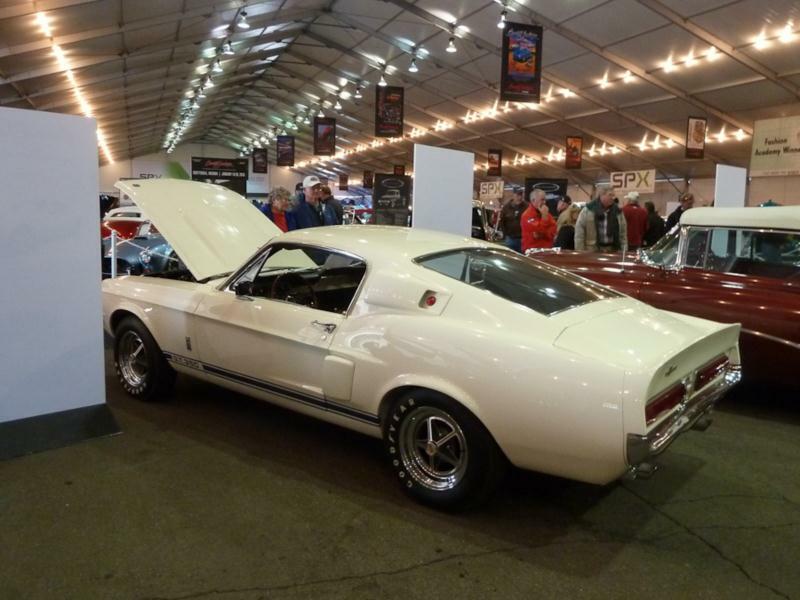 While the Paxton supercharger was still an option, GT350s were less about performance and more about comfort, with options like air conditioning, automatic transmission, tinted windows, tilt steering and more available to buyers. 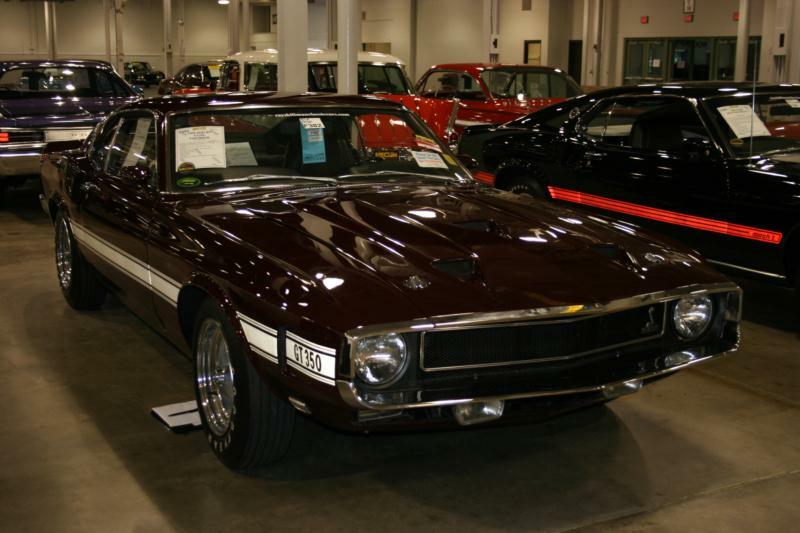 GT350s saw their final year of production in 1969. Regular Mustangs received a thorough redesign that year, and Ford released its own hot versions of the car: the Boss 302 and the Mach 1. 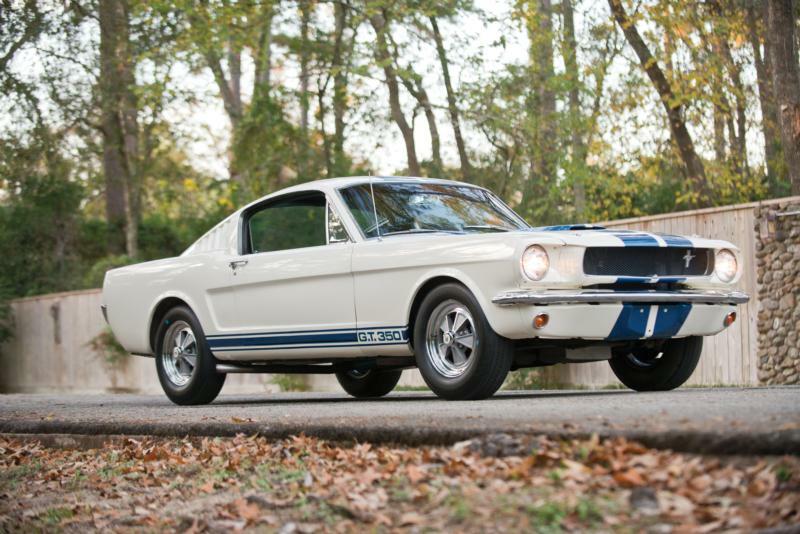 GT350s were fitted with another new V8—the 351 Windsor, which produced 290 hp. A few uncompleted 1969 models were finished in 1970 and given 1970 serial numbers, though those cars are for all intents and purposes otherwise 1969 models. Today, the Shelby GT350 remains an iconic performance machine, easily distinguished from other Mustangs by both performance and valuation.